My version of Laotian Larb salad has been modified for access to readily available ingredients in the U.S. It is an intensely flavorful salad that uses Thai sweet, sour, salty, spicy and bitter flavors to create a delicious salad that stands alone as a complete meal. Serve as a tossed salad, as lettuce wraps or pack in mason jars for lunch. 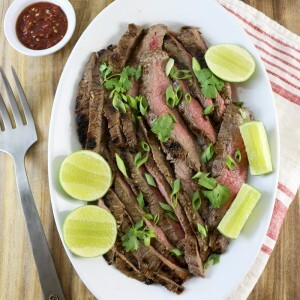 This Thai-style flank steak is simple, but wonderfully flavorful. Plan on 10 minutes to prepare, 3 or more hours to marinate, and 10 minutes to grill. You won't be disappointed! 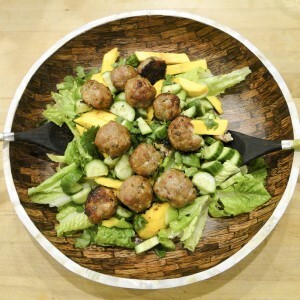 These easy gluten-free meatballs are packaged in lettuce cups with a Thai-inspired sauce, mangos, cilantro and mint. They can be served as an appetizer, a main course, or reconfigured as a salad. 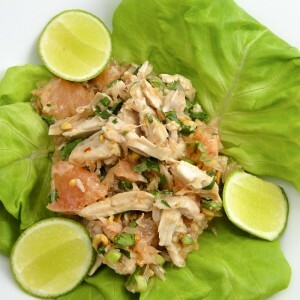 Pomelo salad, or Yan Som-o, was my favorite culinary discovery on my trip to Thailand. This salad is a fresh, intensely flavorful, healthy dish, that tastes like nothing you have ever eaten before. Eat it as a main course or as a side dish. Sticky rice with mango is my favorite Thai dessert. Steamed glutinous rice is soaked in a coconut milk, served with mangos and topped with a coconut sauce. Also great for breakfast! 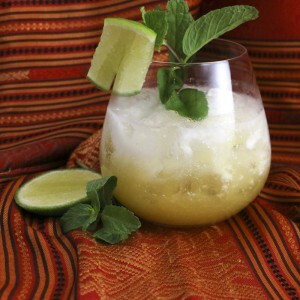 A delicious tropical cocktail inspired by a visit to a pearl farm on Rang Yai island in the Andaman sea. One of many easy Thai recipes, this chicken coconut soup is seriously fragrant and delicious. 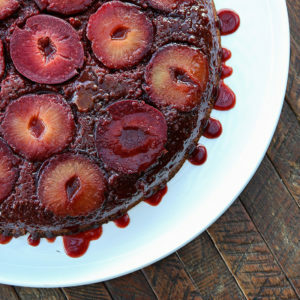 Better yet, it takes just a few minutes to make. 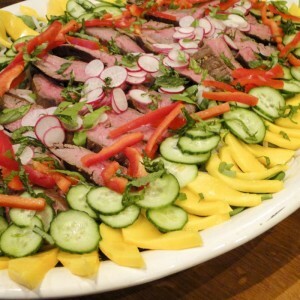 Fresh, vibrant Thai flavors, grilled flank steak, mango and crisp vegetables combine to make this a light, but satisfying one-dish meal. Simple Thai 12-minute asparagus you will make again and again.